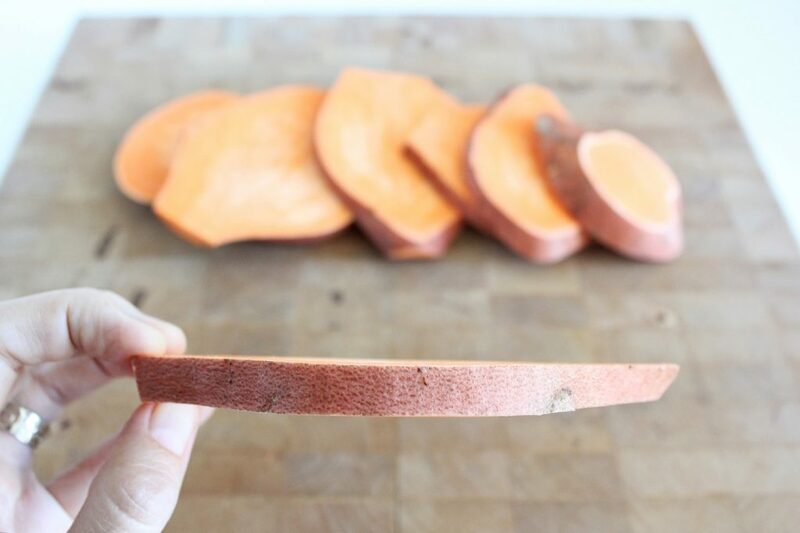 At first I thought a smashed whole sweet potato was the answer, until I thought about eating an entire sweet potato for breakfast or a snack (they can be big!). Then I thought about my favourite avocado toast and how it’s usually more about the avocado than the toast (so that you can have 2). This should apply to sweet potato toast too then, right? So that’s how this sweet potato ‘toast’ came to be. 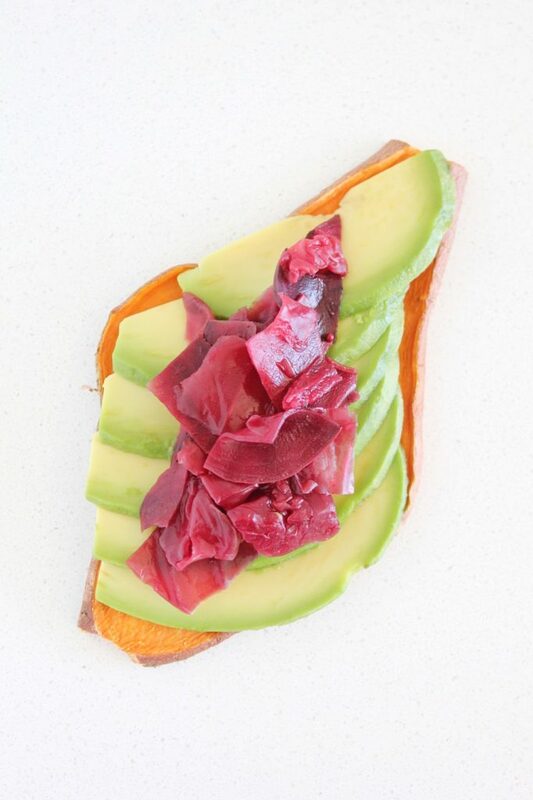 Avocados and Sweet potatoes like each other a lot, flavour-wise. 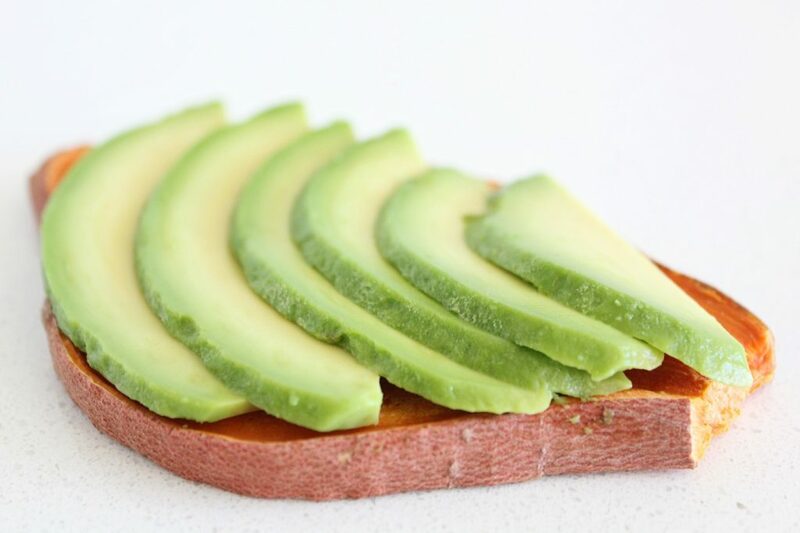 But did you know that the fat in the avocado actually helps to slow down the absorption rate of the sugar in the sweet potato into your body? 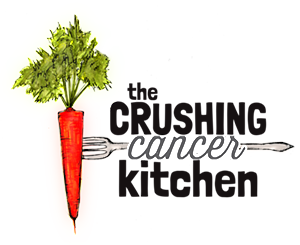 Cancer cells want it fast, so it’s far better for your overall health to slooow it down. 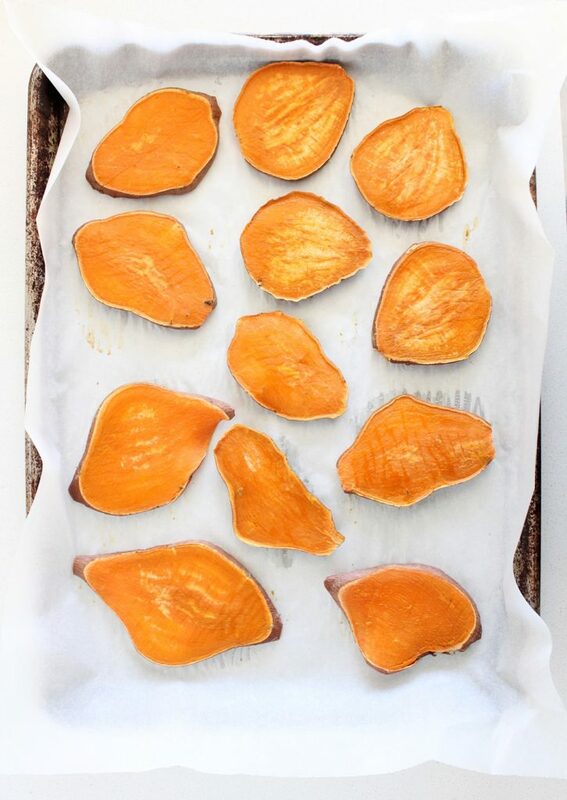 Sweet potatoes are already filled with a ton of fiber which also helps lower their glycemic load, so the two together, on top of tasting awesome, are truly a dream team. I like toast a lot, and bread and all of that good stuff. I find it’s a slippery slope though, from once in a while to every single day, it’s just way too easy. There are better versions of bread out there (yeast-free, sourdough, gluten-free, whole-grain, grain-free etc) but they are still processed foods, often expensive and just keep you in that bread habit. They also take the place of other foods that could be boosting your immune system with all of their whole-food goodness. Sweet potatoes -the new habit to get into, that your body will high five you for. 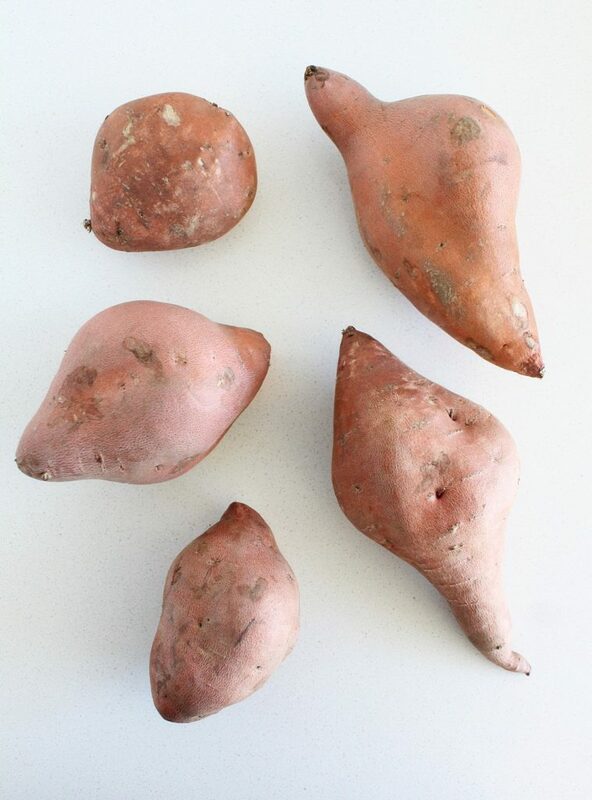 Both Eastern and Western approaches to nutrition agree that sweet potatoes are one of the most nutrient-dense vegetables out there (they don’t often agree, I find it very exciting when they do). 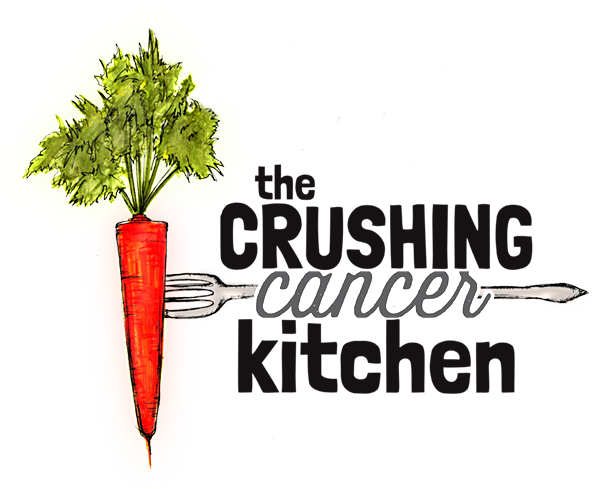 They are high in beta carotene (the darker orange the better for this) and contain vitamin C and thiamine. 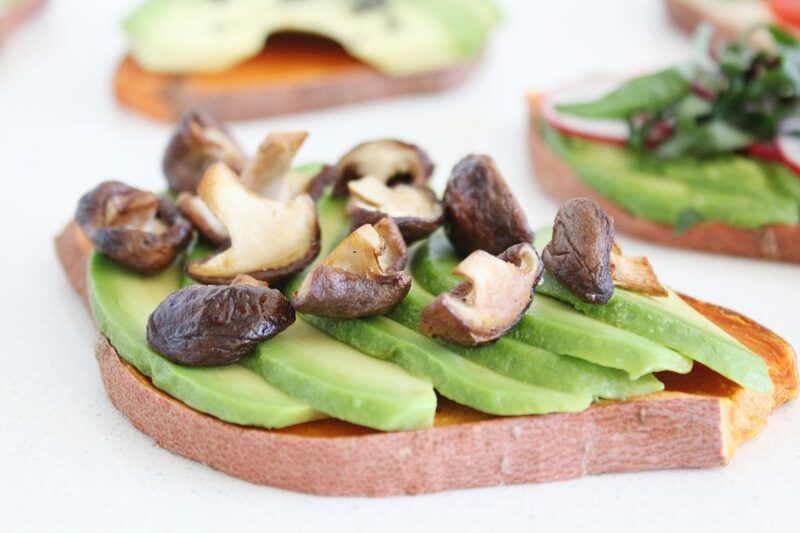 Sweet potato toast isn’t actually toast at all, it’s just sweet potatoes, sliced into 1cm slices, roasted in the oven (just plain, no oil) until cooked. That’s it. Once roasted like this, they become the willing vessel for any creative topping you are feeling. I like a layer of something fatty (like avocado, tahini-rich hummus, refried black beans, vegan goat cheese), followed by something more watery and vegetable-y (leftover salad is usually my go-to). Plain avocado works too though, with a sprinkling of Sea(weed) Salt. 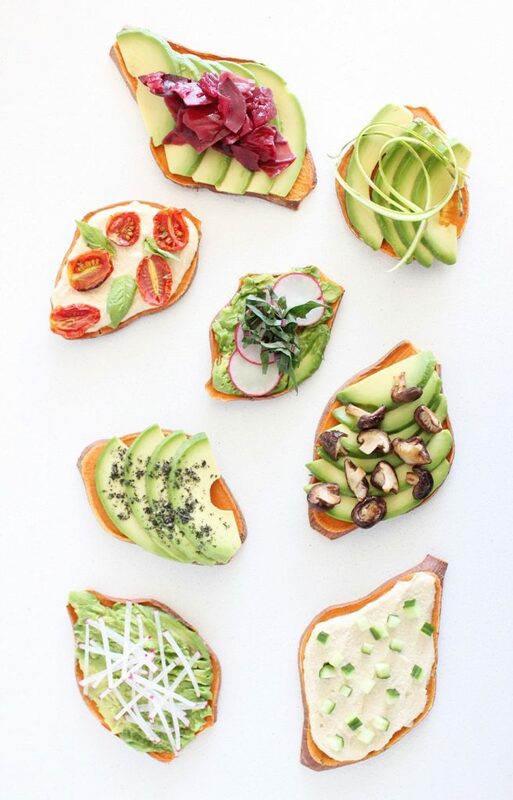 -Avocado with roasted broccoli or Smashed Chickpeas or roasted cauliflower or anything crispy and flavourful. -Anything else that is floating your boat these days. Seriously, anything, just try it. Trim the pointy ends off of the sweet potatoes (I find they sometimes taste mildew-y). (Carefully) slice into 1 cm (1/2 inch-ish) slices. 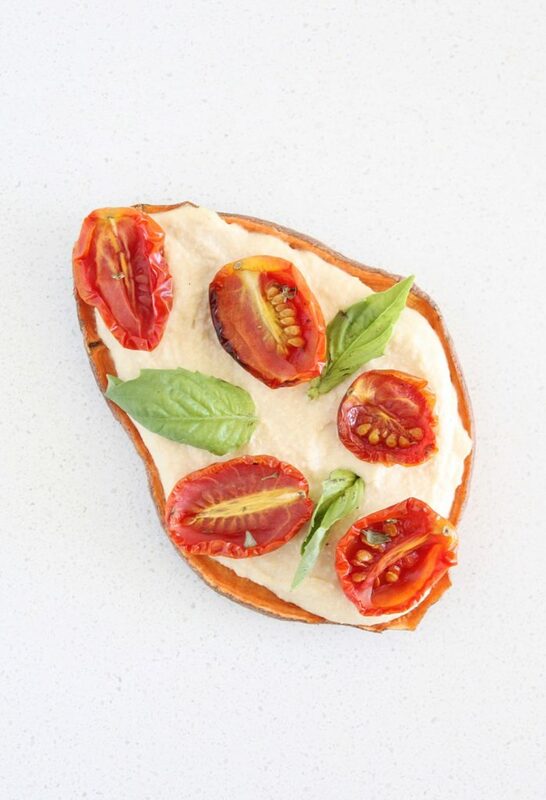 Lay out on a parchment-lined baking sheet. Bake for 15-20 minutes or until cooked through. 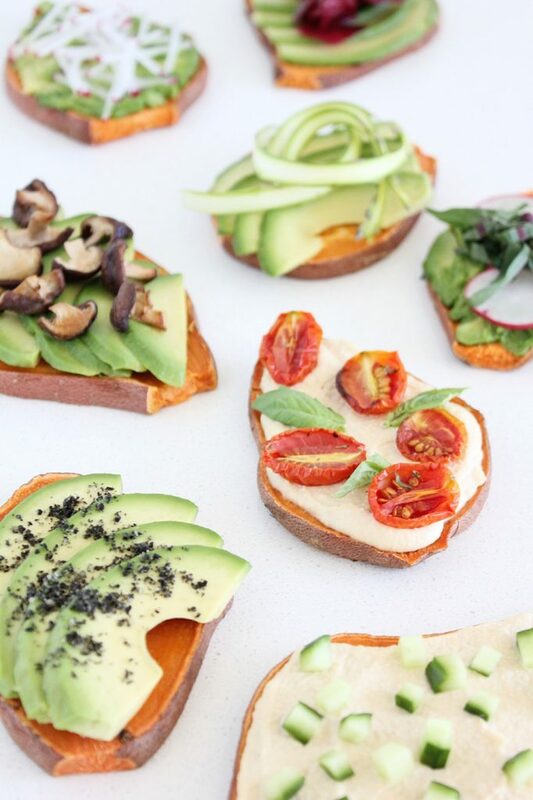 Store in your fridge for 3-4 days (warm up in your toaster oven, just like toast before adding toppings. 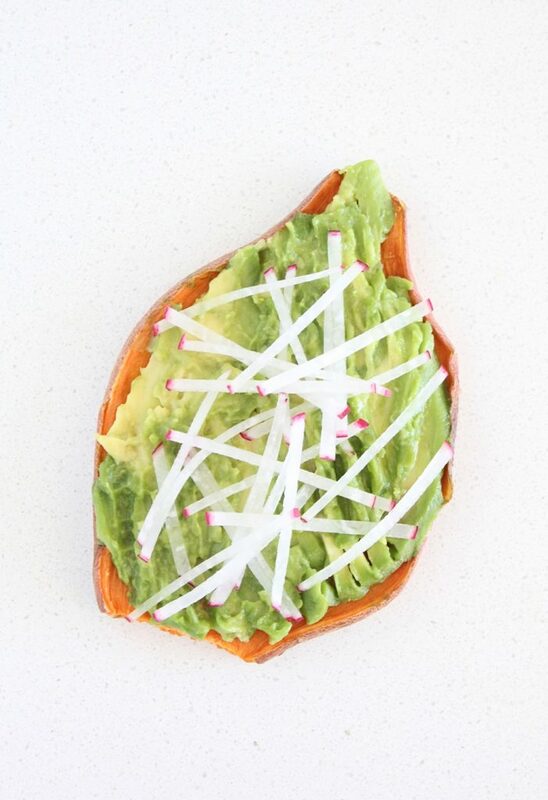 Top with avocado and a sprinkle of sea(weed) and lemon juice, or get fancy with other toppings!